New Jersey Marine Education Association - Science Education at Sea; a workshop out on the water. Science Education at Sea; a workshop out on the water. Come join us for a day of learning about the water… while on the water. 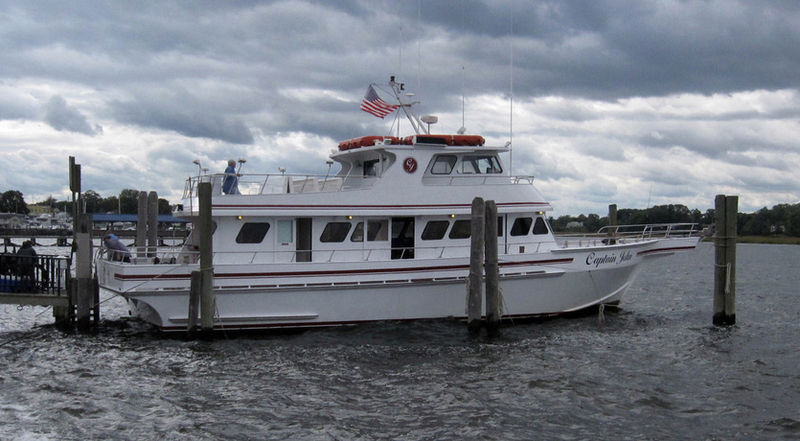 The three hour boat trip will take you from beautiful Keyport, NJ out onto the waters of Sandy Hook Bay. On board activities will be presented by The Wetlands Institute, and include crabbing, horseshoe crabs and shorebirds, trawl netting, plankton sampling and investigation, marine invertebrates, and marine fish. On land activities will be presented by The Raritan Headwaters Association and The New Jersey Sea Grant Consortium staff. 10:00-11:00 “Beaches: More Than Just a Day of Fun in the Sun!” Mindy Voss and Diana Burich from The New Jersey Sea Grant Consortium.